Don’t let it be said that in this corner we’re against electric cars. It’s a great concept that keeps improving with each new generation of battery that comes along. Admittedly, the first few electric cars didn’t appeal to us very much because of their short driving range between charges. But that’s "quickly" (Tesla seems to be having problems meeting production schedules) becoming a thing of the past. The rare-as-hens’-teeth Tesla Model 3 is now available (well, sort of) with the optional long-range battery for which Tesla is claiming a range of 220-310 miles on a charge. 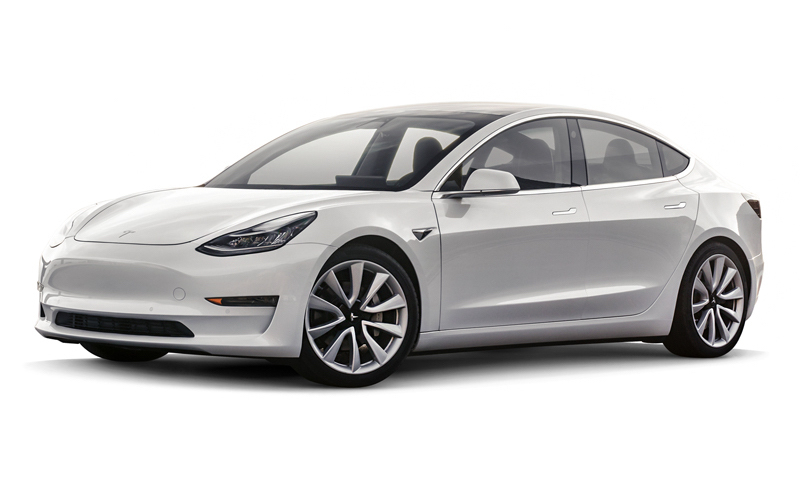 Of course, if you’re a big spender and can’t wait the 12-18 months which Tesla is estimating it would take to get you a Model 3 if you order today, the much more expensive Model S (nearly twice the MSRP), with a range of up to 335 miles, can be yours within a week. 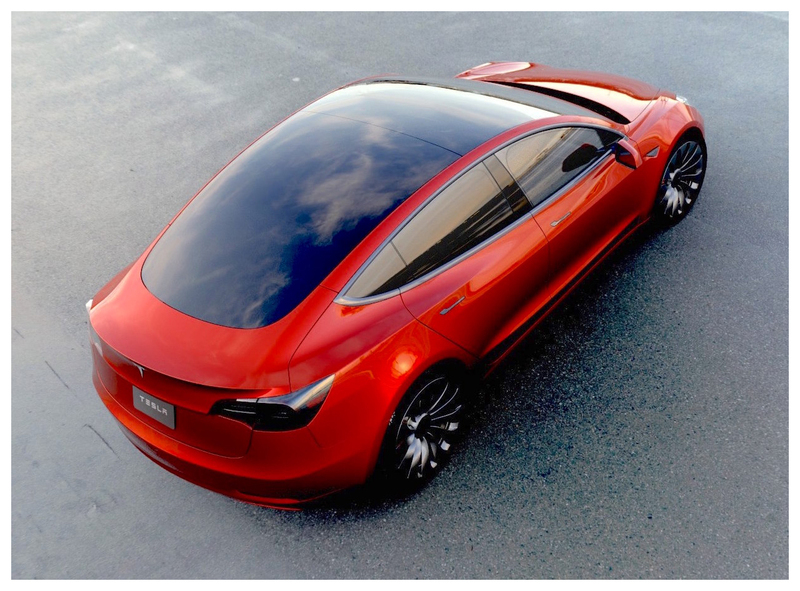 The Model 3 though, is what we’re focusing on this week. It’s being touted as the electric car for the masses, with a starting price of $35,000 before incentives. As this is written, the federal tax credit for purchasing a Tesla Model 3 is $7,500 which brings the starting price down to a much more manageable $27,500. 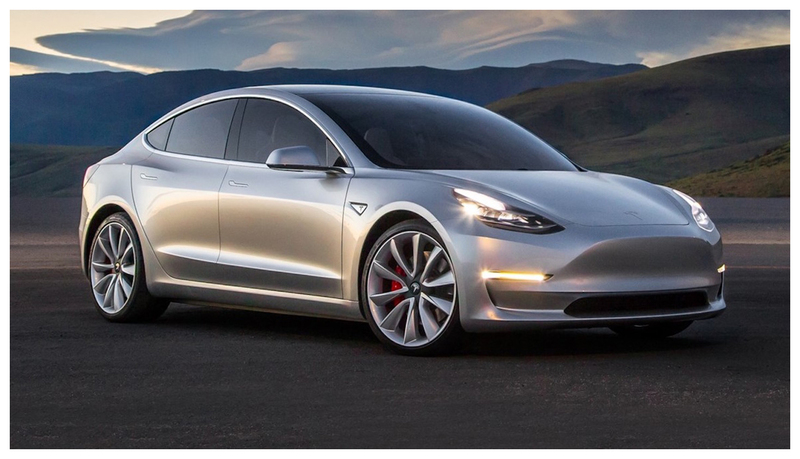 There is a catch though: for now Tesla is manufacturing the Model 3 only at the top trim level, which includes the long-range battery ($9,000) and other premium upgrades ($5,000). Right now, the Model 3 can only be had with rear-wheel drive, but the all-wheel-drive version is slated to begin production “sometime” in 2018 along with the shorter-range battery which will have a range of 220 miles. Road & Track magazine recently tested a Model 3 and called it the real deal. They were quite impressed with the car’s take-off from a dead stop. The electric motor is blessed with being able to give the driver almost 100 percent of the available power as soon as the accelerator hits the floor. I drove a Tesla roadster years ago when they first came out, and can attest to the awesomeness of the car’s shot-out-of-a-cannon acceleration — and it all happens without the usual roar of an internal combustion engine or the mini-hesitation of the transmission’s gear changes (because technically there really isn’t a transmission at all). Looks-wise? 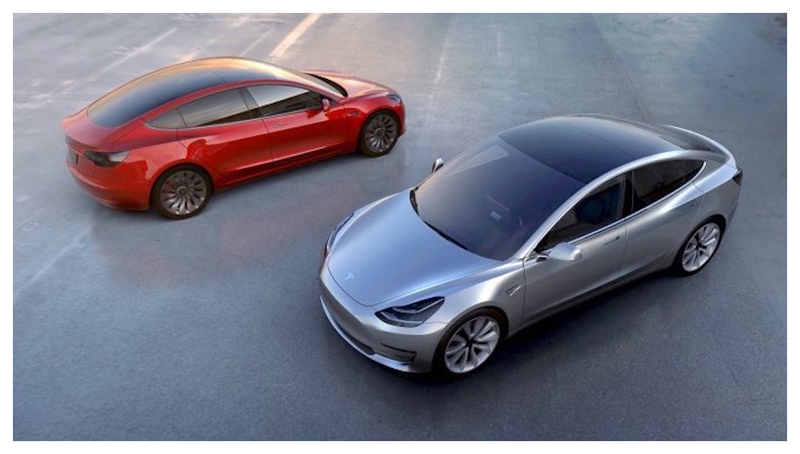 Although the Model 3 greatly resembles the larger and more expensive Model S, it is a more traditional sedan with a separate trunk, as opposed to the hatchback configuration of the Model S. It’s not breaking any ground stylewise, unless you consider the lack of a grille on the large blank front end to be groundbreaking. IMO it makes the Model 3 look like one of those insurance company-ad cars. The interior is something else again. 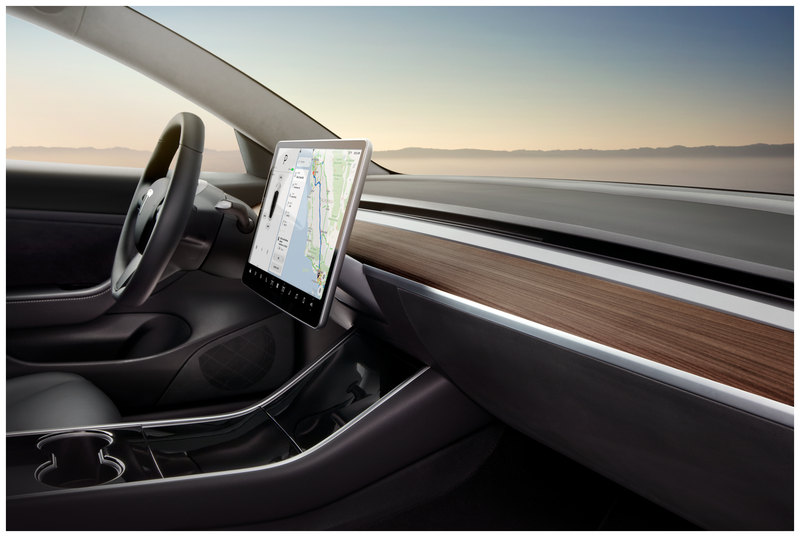 The usual dashboard configuration has been tossed overboard in favor of a giant 15” central display which not only offers your speedometer readout but also doubles as a touchscreen for everything you’d normally be turning a knob or sliding a slider to take care of. The R&T testers seemed disturbed having to look towards the center of the “dashboard” to see how fast they were going. Apparently they’ve never driven a car like my Scion xB, with its large round speedometer mounted in the center of the dash above the radio. 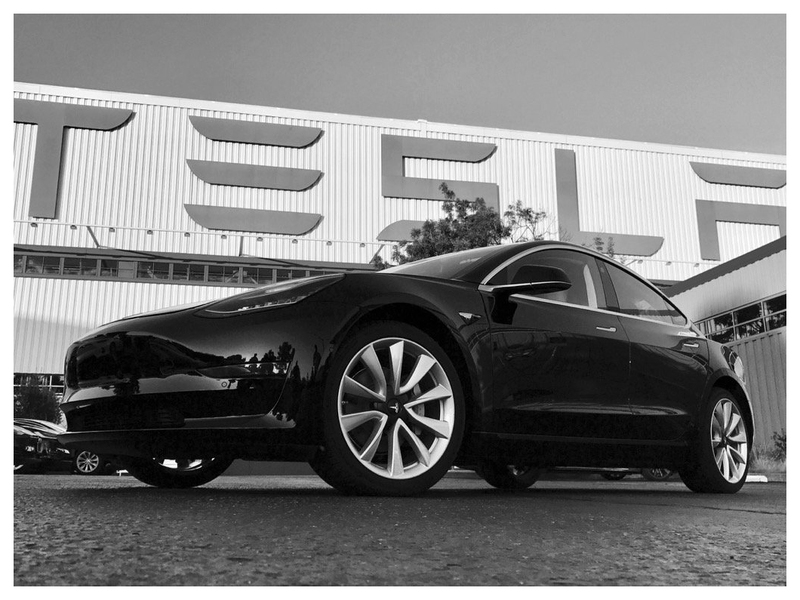 My biggest beef with Tesla is its lack of dealerships where you can show up and kick a few tires. 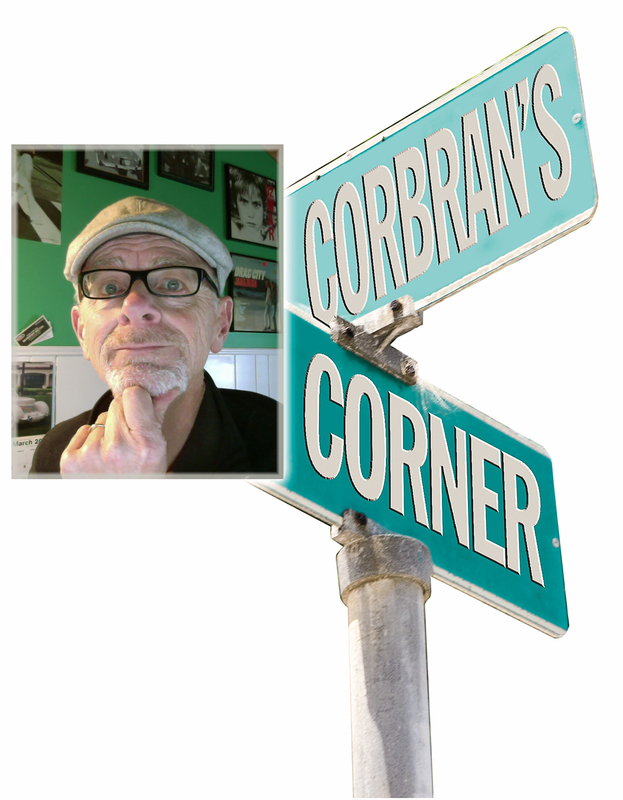 They’re trying to change the landscape of car selling by eliminating the middle man (traditional dealers), but that’s another topic for another week. The post “WHAT’S ALL THE HOOPLA ABOUT?